Boom! Records was founded by Jean-Pol Van Haesendock, better known as JP Van, in 1987 in Halle, a town south of Brussels. JP already was an avid music fan at young age, became a respected musician, songwriter and producer for many bands, owned a small chain of record stores and became a passionate label boss offering many bands their first chances as recording artists. 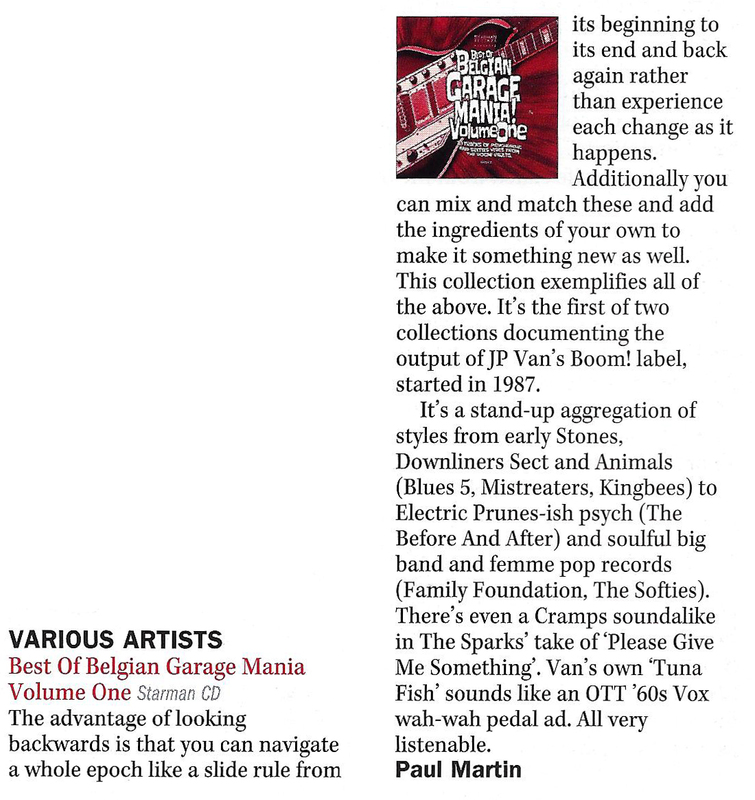 The label, one of the largest real independent ones in Europe has released hundreds of albums and singles, mainly exciting sixties-, psychedelic-, garagerock and guitarpop by well known but also obscure Belgian bands. Lots of hidden treasures to discover or rediscover ! 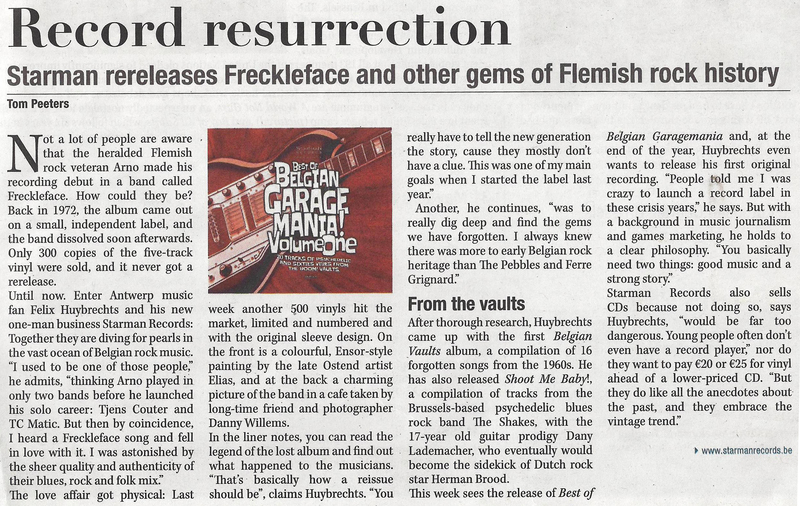 Many of those records are now much sought after and are considered as a key chapter in the history of Belgian rock. The best of those tracks are now exclusively remastered and compiled by Starman Records . Volume One focuses on bands and songs inspired by the sixties: psych, raw rhythm and blues, vocal harmonies and sparkling pop… you will get it all ! Enjoy the music!